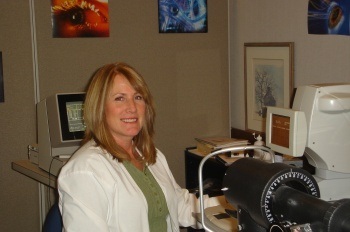 Hannah has been an employee of Carty Eye Associates for the past 20 years. Her job requires her to work one on one with the patients and their families who are scheduling surgery. As well as scheduling surgeries, Hannah does all the necessary measurements needed for the patients having cataract surgery, such as IOL Master, Corneal Topography, and Keratometry. Dr Carty uses all the newest lens implants available for his patients, including the Symfony multifocal, Toric - for our patients with astigmatism, and our standard monofocal lens implant. He also was one of the first doctors in the area to be certified on Femtosecond Laser technique for cataract surgery and the ORA-guided advanced cataract surgery. Hannah will explain your options and together Dr Carty and Hannah will help you choose the lens and surgical techniques that will help you achieve the best possible vision.